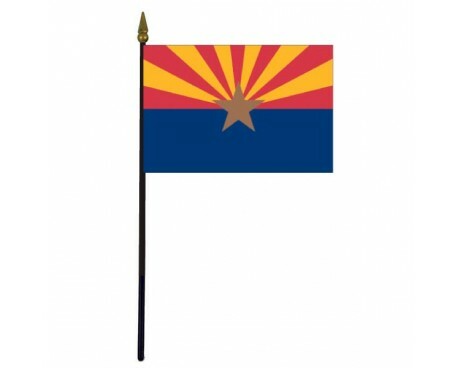 Arizona State Stick Flag - 4x6"
California State Stick Flag - 4x6"
Colorado State Stick Flag - 4x6"
Connecticut State Stick Flag - 4x6"
Florida State Stick Flag - 4x6"
Hawaii State Stick Flag - 4x6"
Indiana State Stick Flag - 4x6"
Kentucky State Stick Flag - 4x6"
Maryland State Stick Flag - 4x6"
Massachusetts State Stick Flag - 4x6"
North Carolina State Stick Flag - 4x6"
Rhode Island State Stick Flag - 4x6"
Mini state flags perfect for events, parades, company giveaways and the classroom! 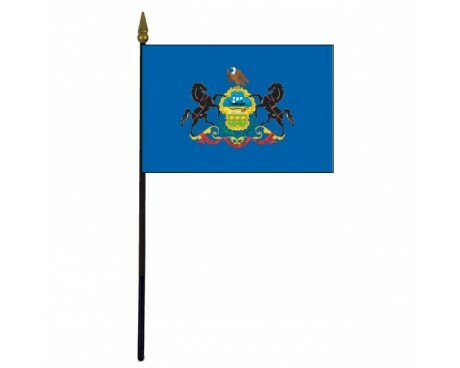 Gettysburg Flag Works is proud to represent each American state in the form of state stick flags. 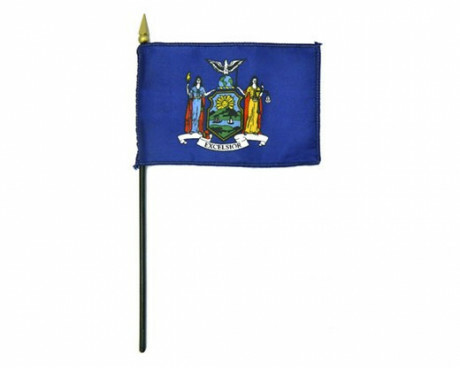 These miniature state flags are perfect for use at parades, as grave markers, giveaways and for use in the classroom. 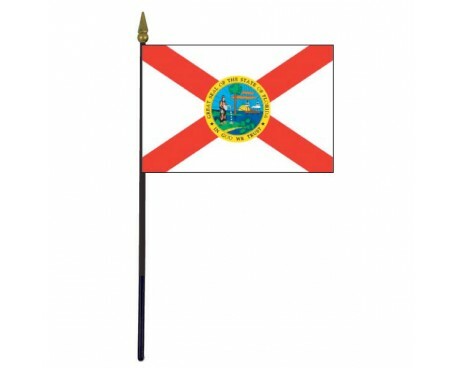 With state stick flags for every state in the country, you will certainly find the ones that fit your specific needs. 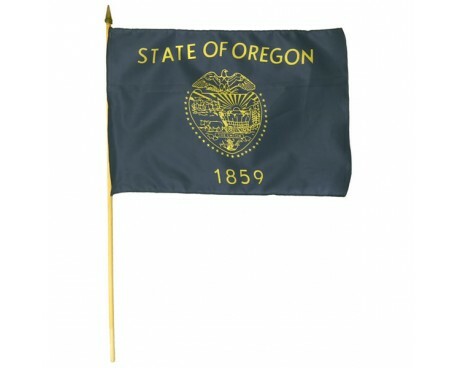 Our mini state flags are printed on polyester and are 4x6 inches in size. 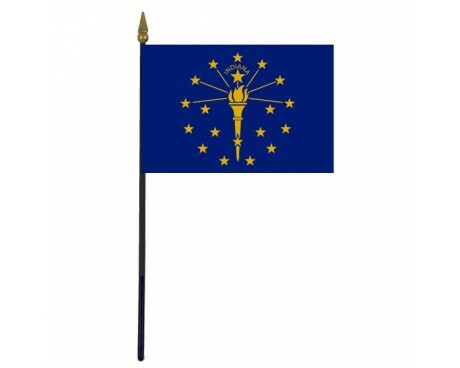 Each of these mini state flags are hemmed on all sides and are mounted to a 10-inch black plastic staff with a gold spear top. 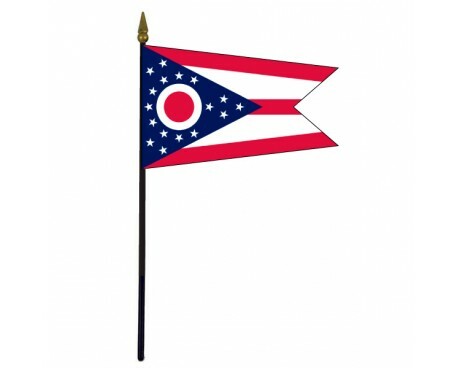 All state stick flags are made here in the USA! 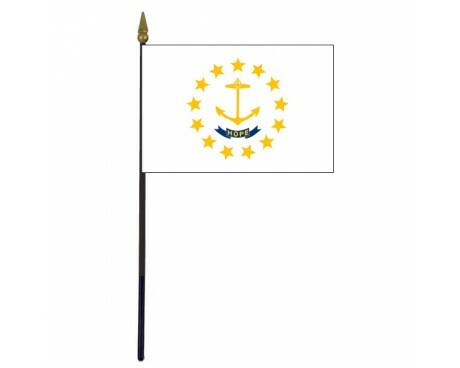 Should you be in the market to buy many miniature states flags, we happily offer quantity discount pricing. 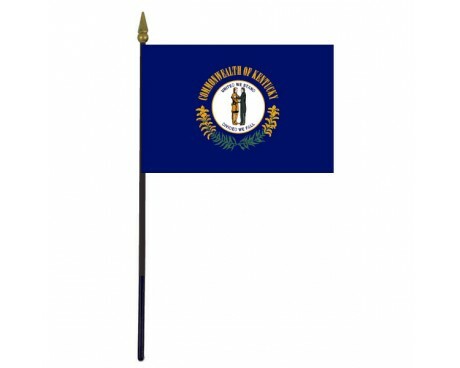 If you are looking for other types of miniature flags, Gettysburg Flag Works offers many different types of small American flags. 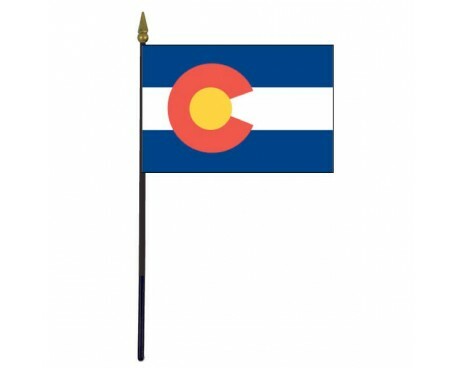 Our cotton USA stick flags come in four different sizes – each with a different length stick – and are hemmed on four sides. 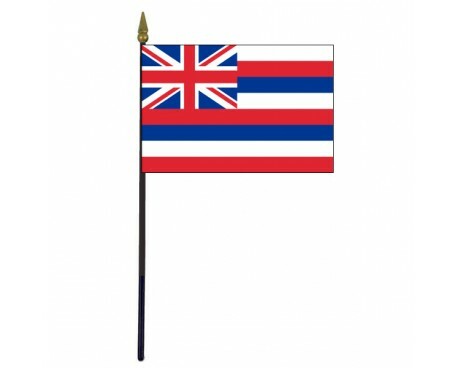 These very popular flags are mounted on a smooth natural wood staff with a gilt spear. The next type of American stick flag that we offer are the Saf-T-Ball variety. These small American flags are hemmed cotton USA stick flags, but are mounted to a staff with a ball top for safety. 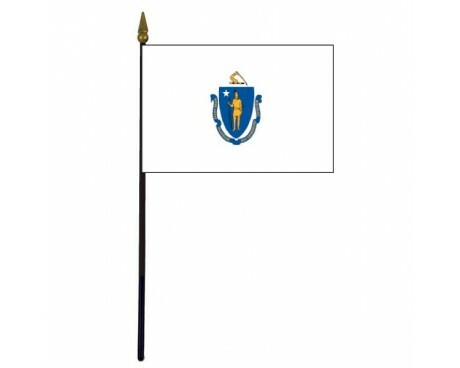 These miniature flags are great for older children to use, but should not be given to children under the age of three as they are a choking hazard. A more economical option of small American flags are the Economy USA stick flags. These are also 100% cotton, but are constructed with a special no-fray finish so hemming is not required. 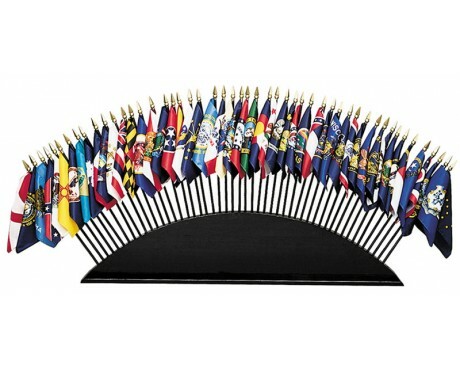 These miniature flags are mounted on a smooth finished natural wood staff, and can come with or without a gold spear top. 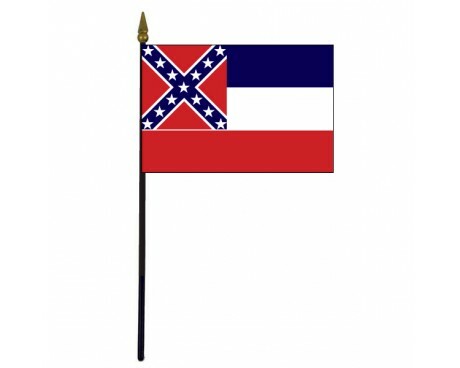 These American stick flags are great for handing out at parades, give-aways and for company use. 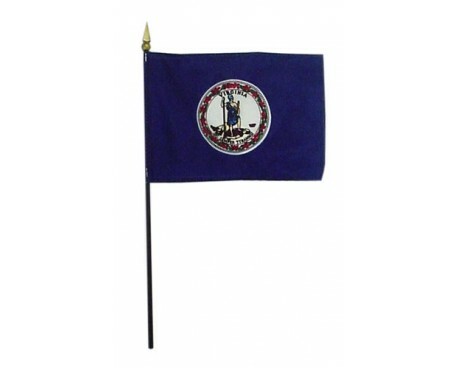 If you are looking for a classroom, we offer a specific type of American stick flags just for this purpose. 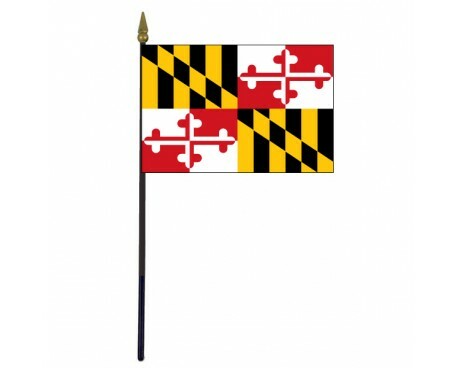 These small American flags are made of 100% fine polyester and are mounted on black staffs with gilt spears. 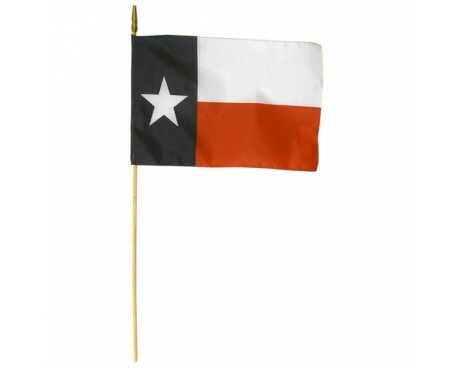 These miniature flags come in a variety of sizes and are also available with gold fringe. 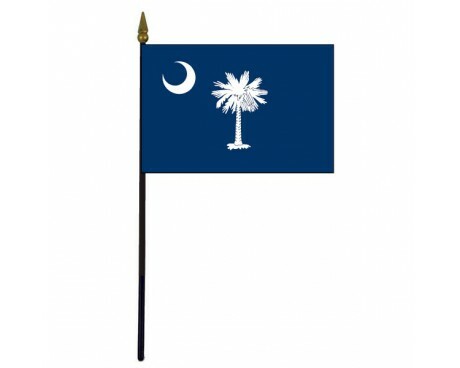 If you are buying state stick flags and/or American stick flags, you should also consider bases to mount them in. 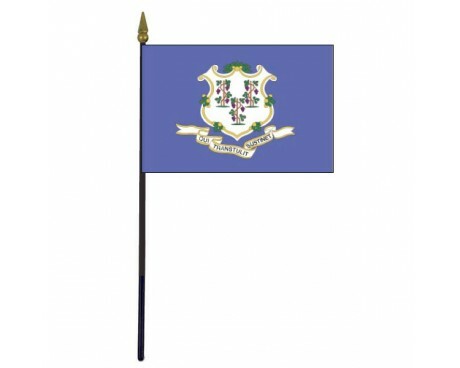 Gettysburg Flag Works offers a few options of table bases for state stick flags and for American stick flags. 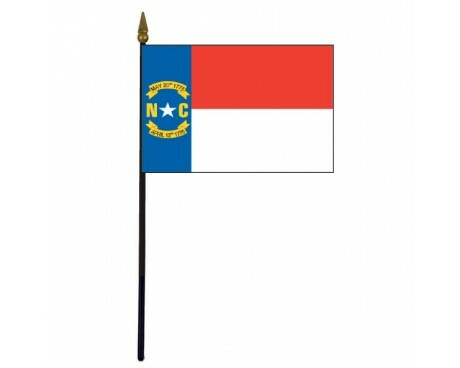 Our black plastic base is available with different amounts of holes for your state stick flags or American stick flags. Our deluxe table bases are available in black or gold. 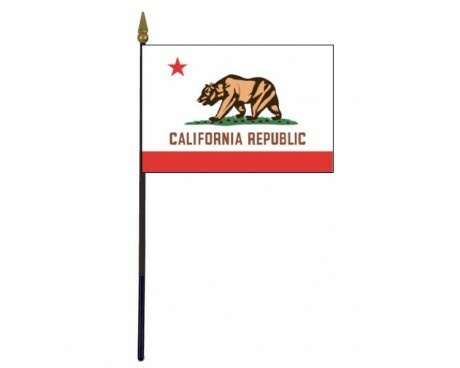 Finally, our walnut table base is a high quality table base perfect for classy presentations of your state stick flags, and is available in one to three hole options. 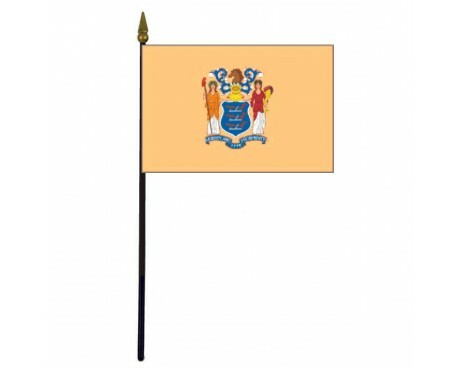 Also available through Gettysburg Flag Works is a 50 state stick flag set. 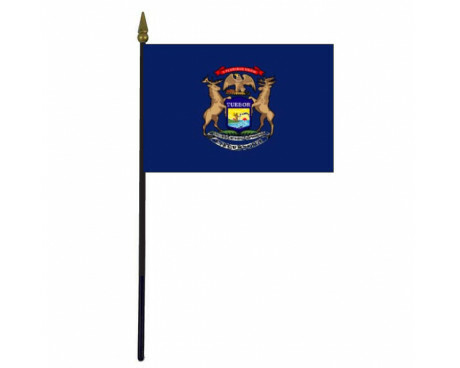 This complete set of state stick flags are printed on lightweight polyester, and stapled to a black plastic or black wood staff with a gold spear tip. 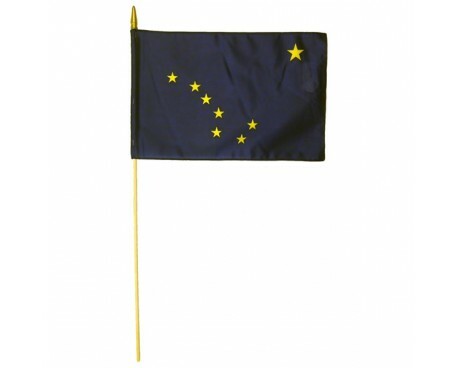 You can also choose to have gold fringe on the state stick flags.